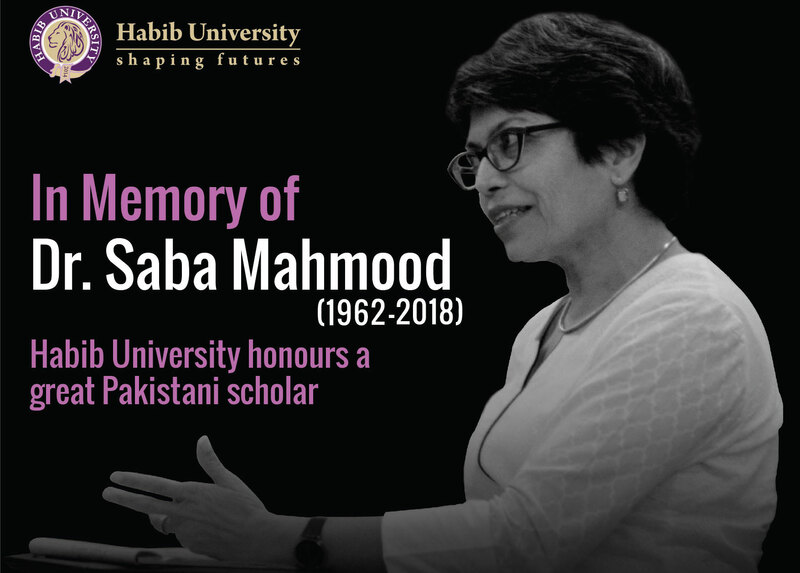 Dr. Saba Mahmood was Pakistan’s top scholar in the humanities and social sciences. She was globally renowned for her incisive work on the most critical issues of today, including religious and political identity, secularism and the modern state, as well as gender and Islam. Dr. Mahmood was Professor of Anthropology at the University of California, Berkeley, and was also affiliated there with the Program in Critical Theory, the Center for Middle Eastern Studies, and the Institute of South Asian Studies, where she helped found the first Pakistan Studies Initiative. 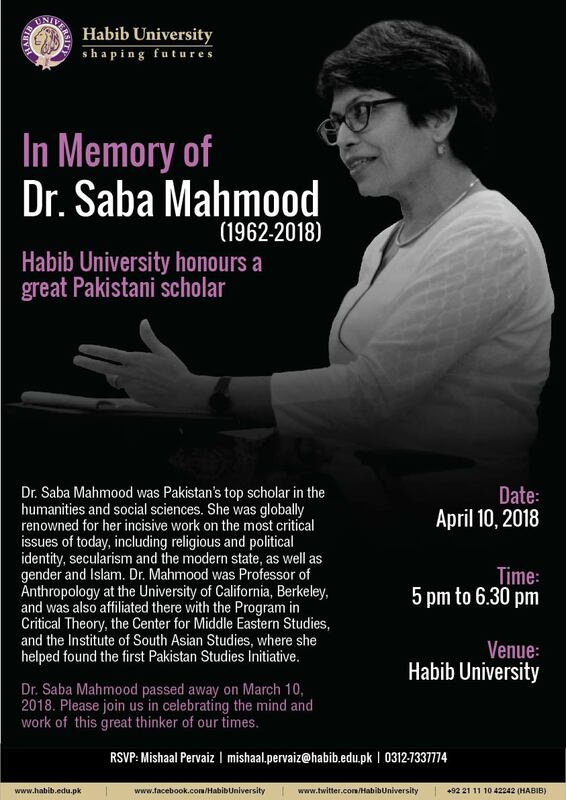 Dr. Saba Mahmood passed away on March 10, 2018. Please join us in celebrating the mind and work of this great thinker of our times.